[Jesus said,] "And you know the way to where I am going." "No, we don't know, Lord," Thomas said. "We have no idea where you are going, so how can we know the way?" Jesus told him, "I am the way, the truth, and the life. No one can come to the Father except through me. If you had really known me, you would know who my Father is. From now on, you do know him and have seen him!" I sometimes give way too many instructions when giving directions. So today, I want to keep it clear and simple. 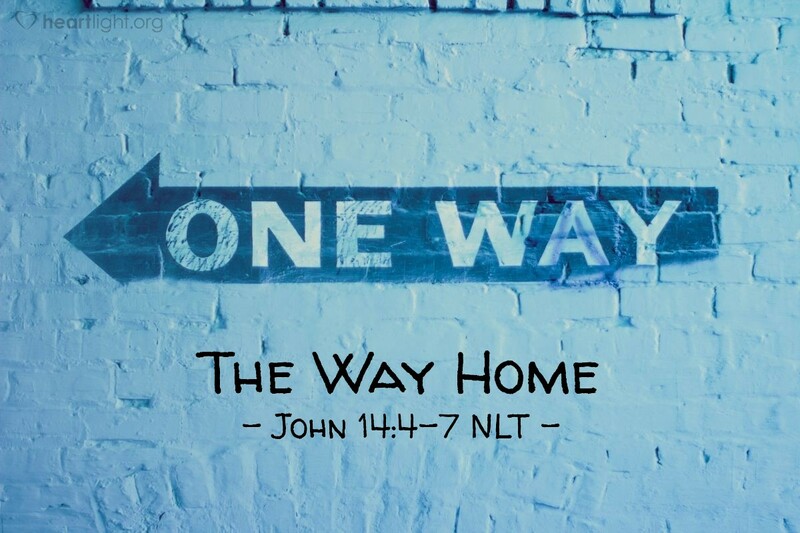 Want to know the way home to God? It's Jesus! Father, please be with your people so that we will passionately share our hope in Jesus so others can be assured of finding their way home to you! In Jesus' name. Amen.